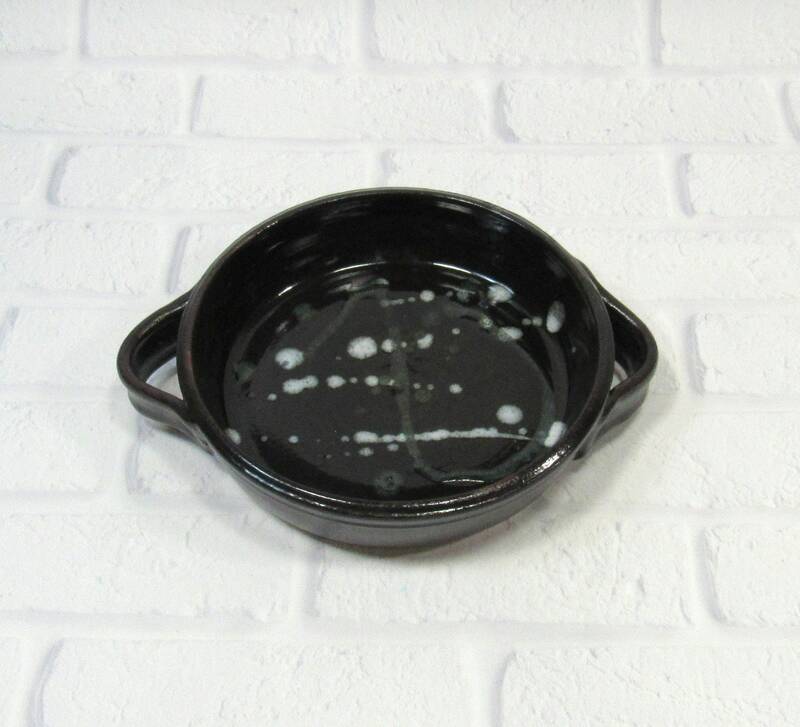 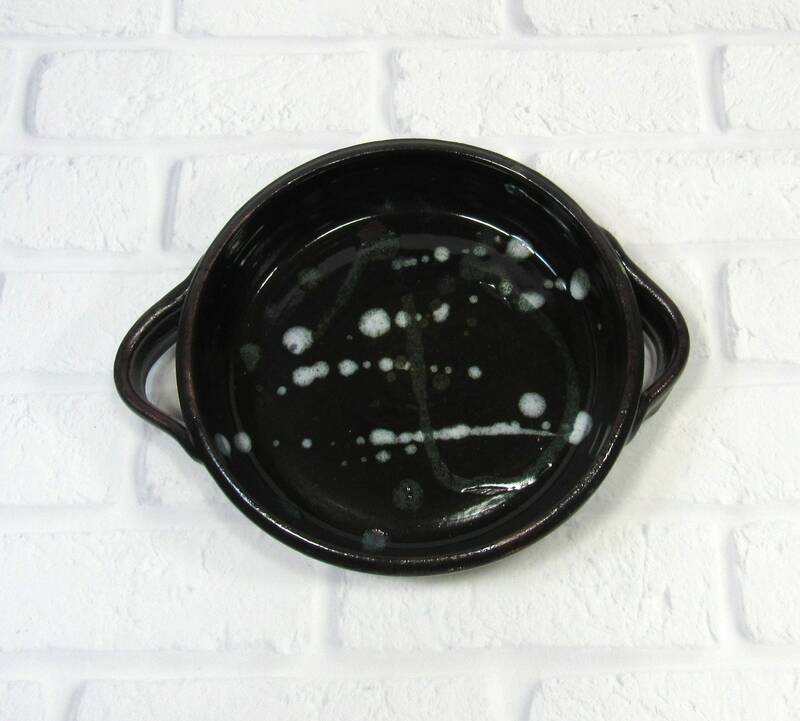 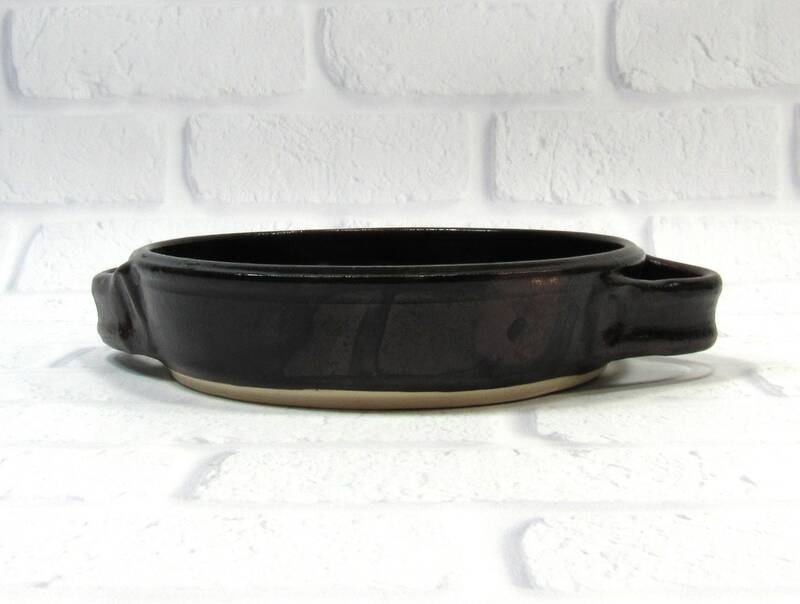 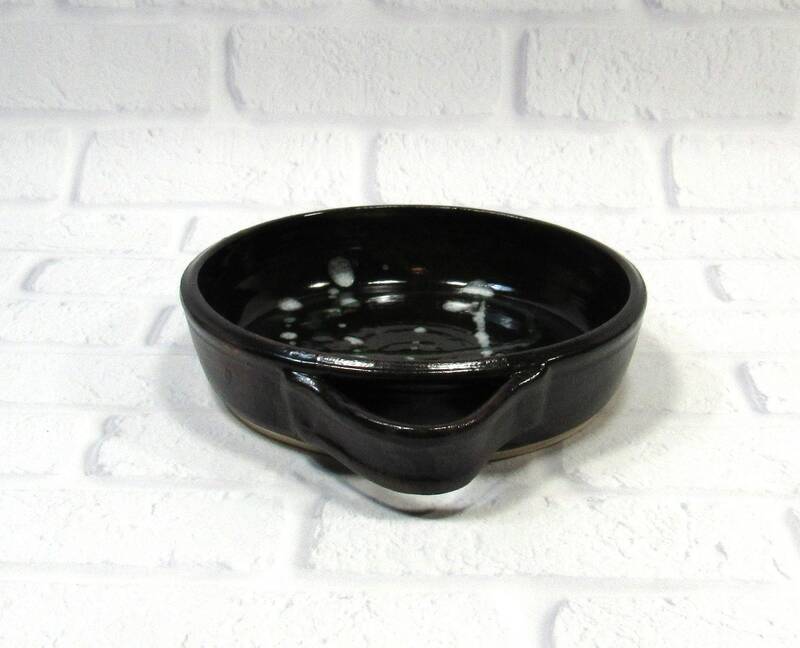 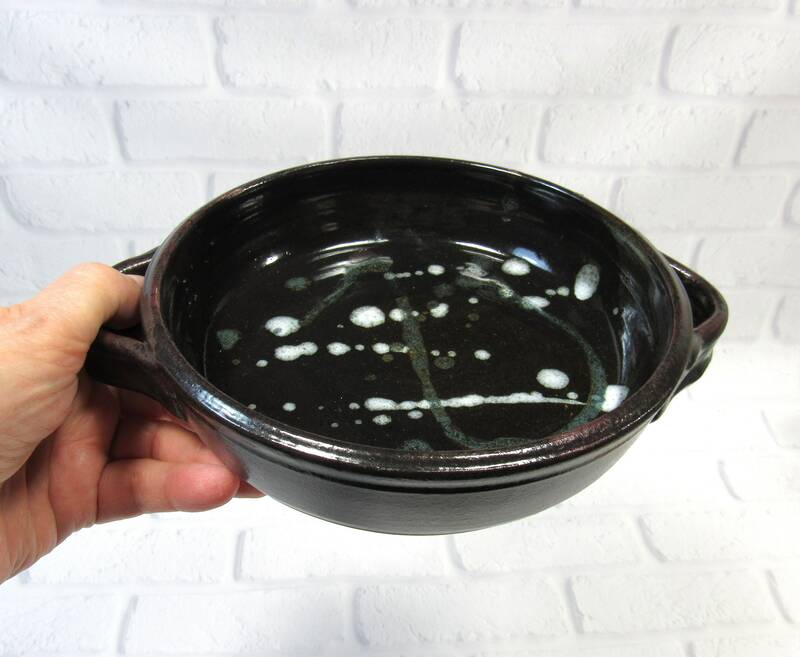 Handmade ceramic pottery brie baker in dark brown/black glaze with white highlights. 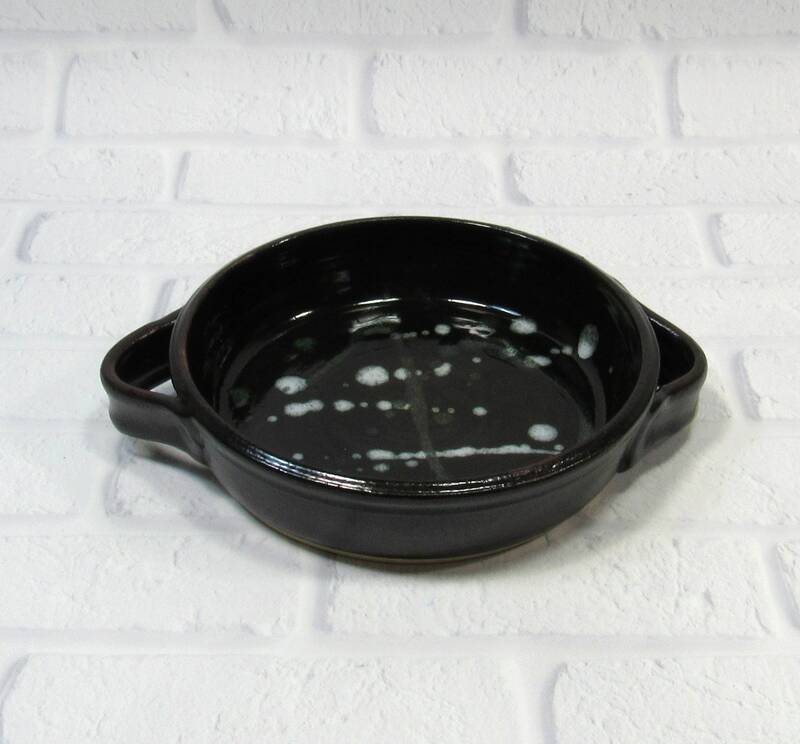 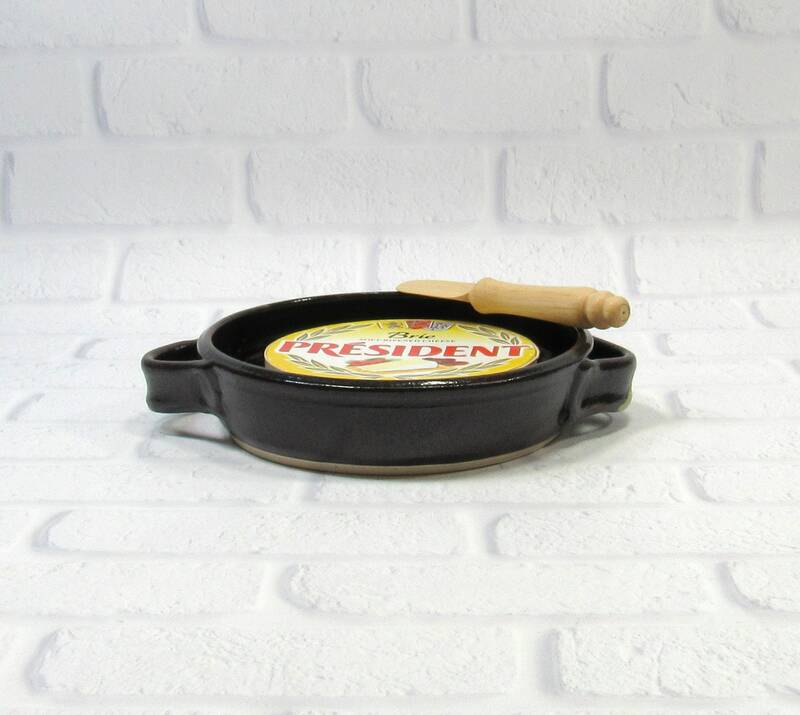 Use it to soften brie and other cheeses (such as Camembert and provolone) for serving. 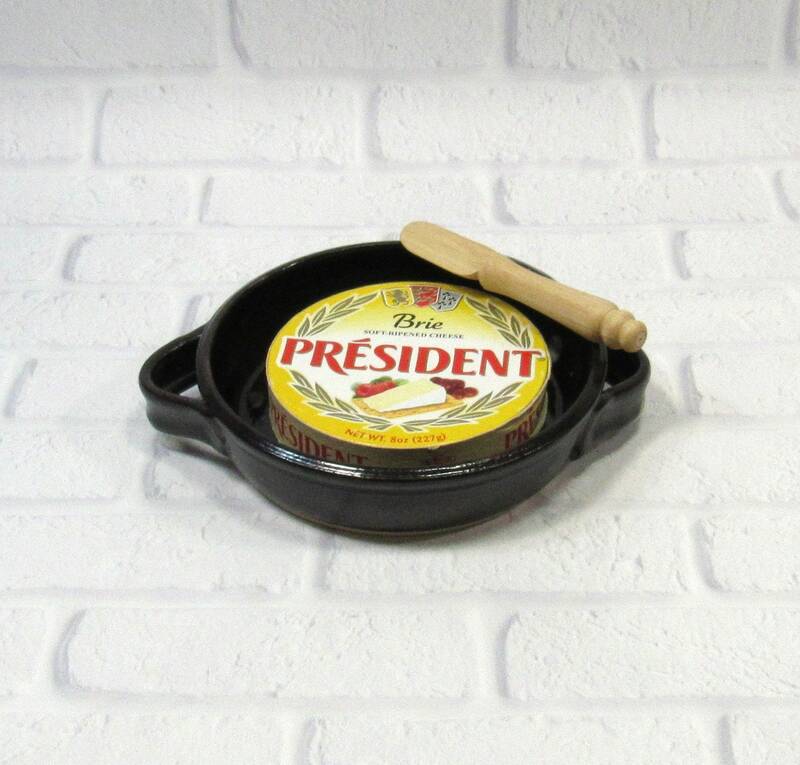 This cheese plate is also great for serving dips, appetizers or condiments. 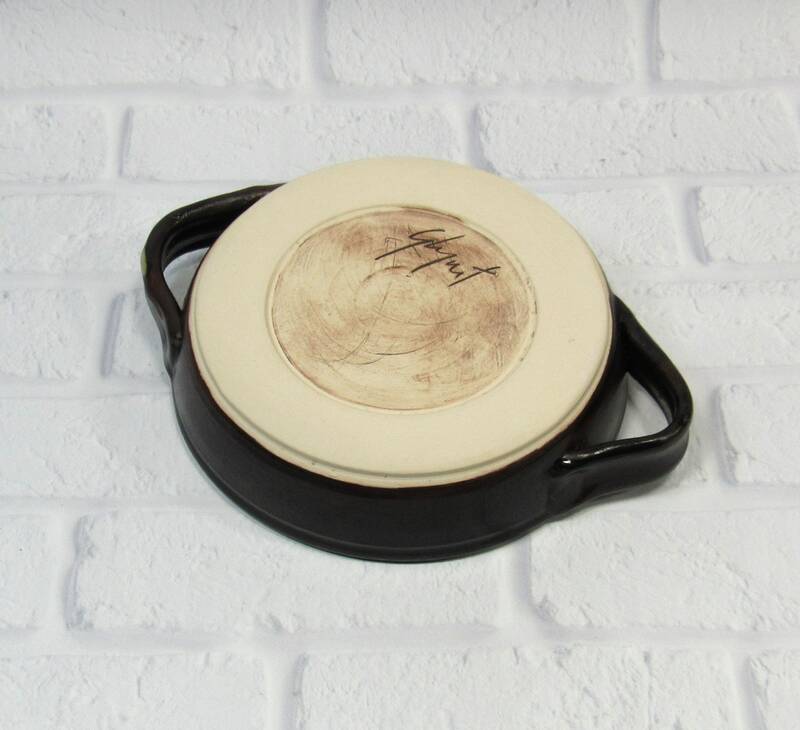 The baking dish is 6 inches in diameter and 1.25 inch deep. 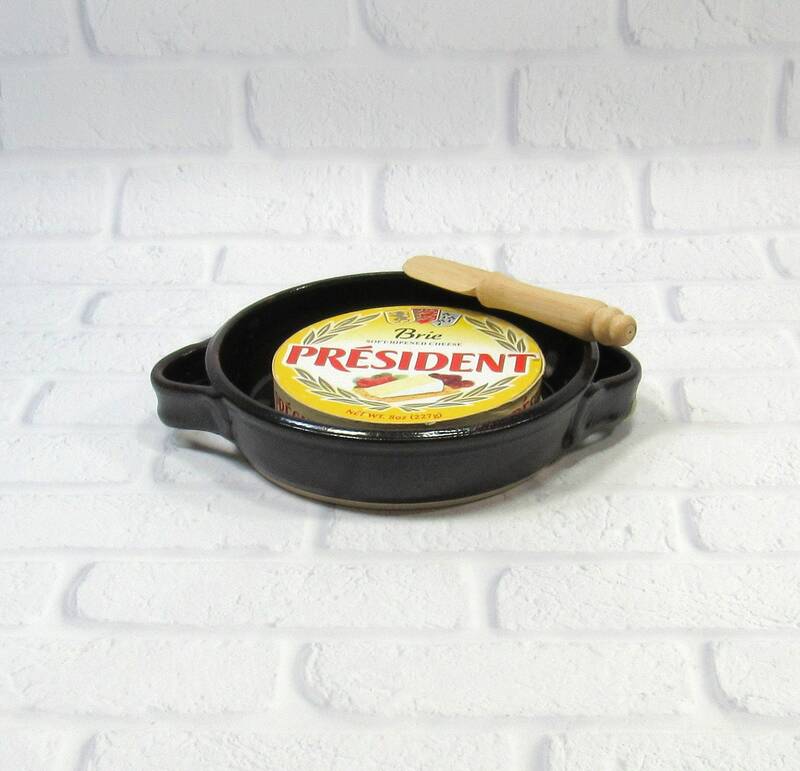 Cheese knife/paddle and recipe card included.